Additional Public Hearing to Kickoff Three Date Listening Tour for Mayor Megan Barry; Ensure Metro’s Businesses Have Opportunity To Comment on Metro Procurement Process. Griffin & Strong, P.C. ("GSPC") is under contract with the Metro Nashville Government ("Metro") to conduct the 2018 Disparity Study, a comprehensive review of Metro’s procurement process which will analyze contract awards to small and diverse businesses. 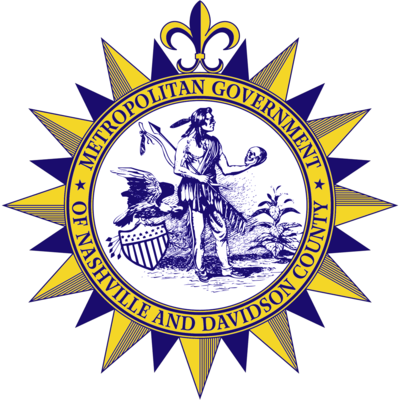 Mayor Megan Barry and the Metro government have commissioned an additional public hearing for the 2018 Disparity Study, to be held February 27th at 6:30 PM, to ensure all Nashville residents’ have an opportunity to comment regarding experiences with Metro procurement. Previous hearings were held February 6th and 7th, 2018. Please note that this meeting is being presided over by Griffin & Strong, P.C. and not Metro or the Office of Mayor Megan Barry. Neither GSPC, Metro, or Mayor Barry will be responding to questions, only accepting commentary. Neither will the parties be responding to commentary except for additional clarity. Please be aware that everything said during this hearing will be a part of the public record and all comments will be recorded and potentially utilized as evidence for the 2018 Disparity Study. You may register via Eventbrite at https://www.eventbrite.com/e/minority-and-diverse-business-listening-session-metro-projects-and-jobs-tickets-43175501086. Registration is encouraged, but not required for participation. If there are any questions, concerns, or comments you wish to add, feel free to visit http://metronashvillestudies.com, contact GSPC at MetroNashvilleStudy(at)gspclaw(dot)com or Deputy Project Manager, Sterling Johnson, at sterling(at)gspclaw(dot)com.